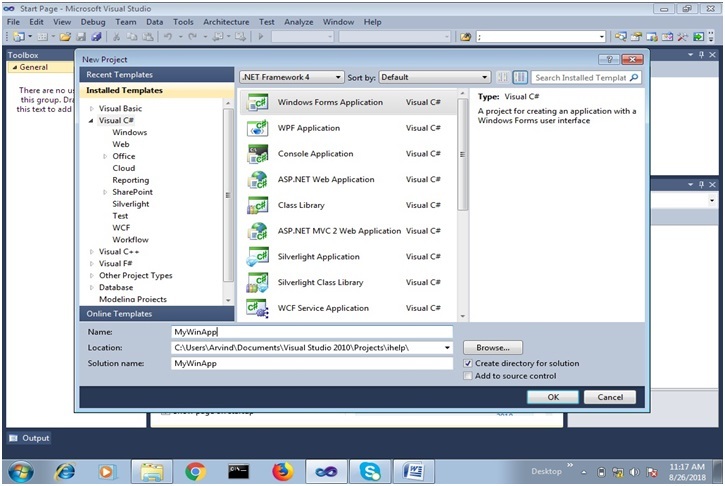 In this article, we are going to learn how to develop a windows application in C#.Net? 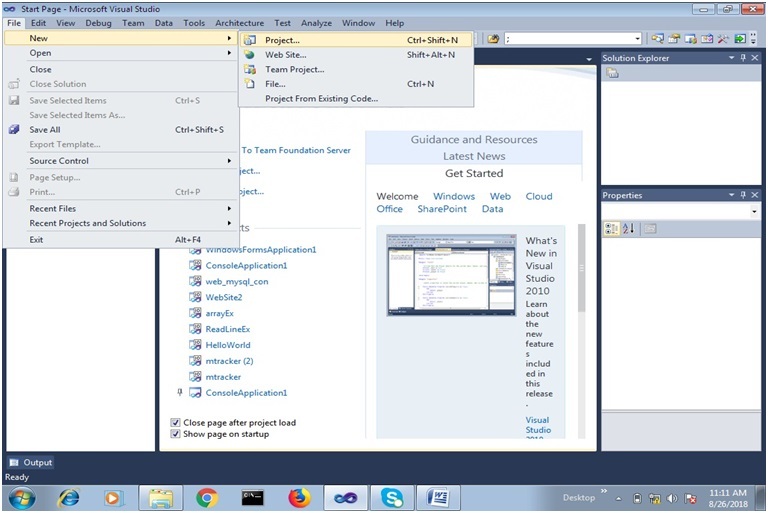 Here, we are writing the steps to create a windows application using C# in Visual Studio. 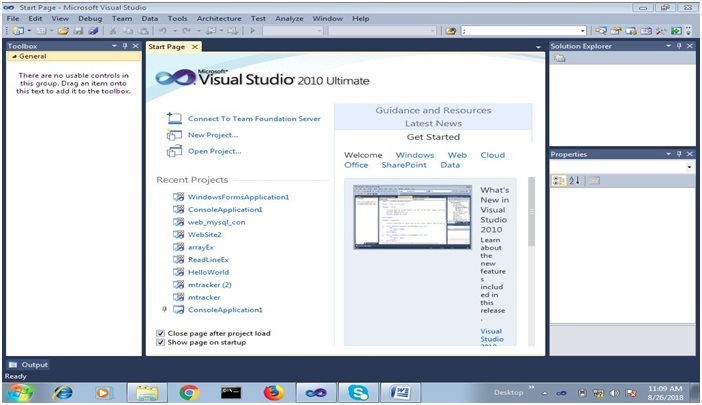 Step 1) First of all we launch visual studio. Step 2) Goto fie menu and select new project. 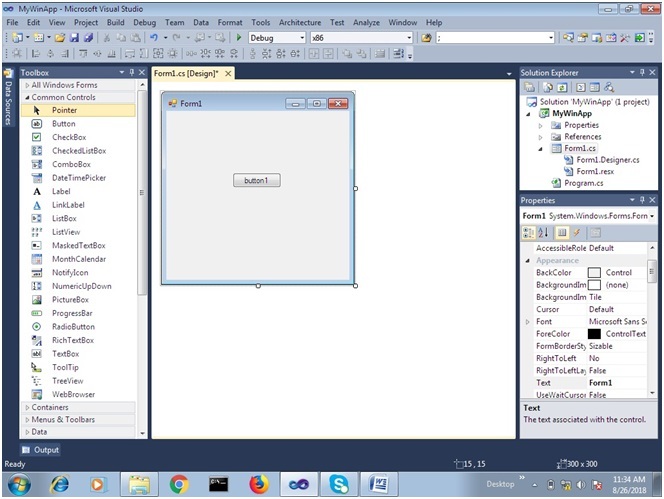 Step 3) Now we select "Visual C#" from left panel and select "Windows Forms Application" and give appropriate name to our application. Here I provided name "MyWinApp". It contains tool to develop the application. It contains our project detail; it shows all files related to our project. 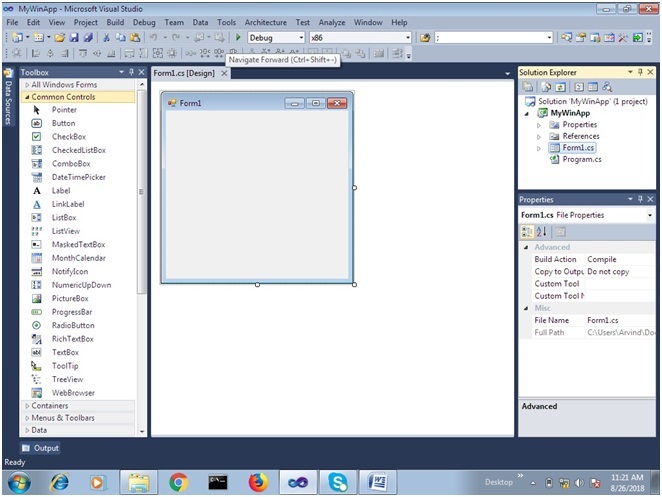 Using property window we can change the properties of controls which are used in our application. We can build our project or solution using build menu or shortcut key: Ctrl + Shift +B. We can execute our application with or without debugging. Here, we use debug menu or it can also be done by using shortcut key: F5 or CTRL+F5. First of all, we create a windows application. And then drag and drop a button from toolbox to container form. 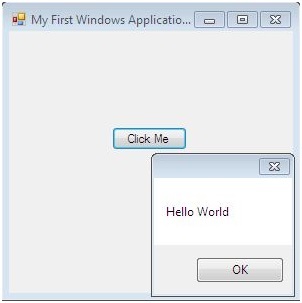 We can change the name, color and text etc of any control using property window, here we change our form text to "My First Windows Application" and button text to "Click Me". Here button1_Click function will use as a click event, here we can write code what we want to do on click event on the button. Now we wrote code to show MessageBox to display "Hello World".